Being able to perform static analysis on source code before performing a deployment build gives teams a strong edge in creating secure applications. However, static analysis does not cover the entire realm of possible vulnerabilities. Static analysis scanners are excellent at detecting obvious cases of some forms of attack, such as basic Cross-Site Scripting (XSS) or SQL injection attacks. Unfortunately, they are not capable of detecting more complex vulnerabilities or design flaws. If a design decision is made that results in a security vulnerability, such as the decision to use a sequence generator to create session IDs for authenticated users, it is highly likely that a static analysis scan won’t catch it. Testing resources tend to be limited due to budget or other constraints. Most organizations, especially larger ones with dozens or even hundreds of development projects, can’t afford to have enough dedicated security testers to provide testing through the entire lifecycle of every project. One way to help relieve the second issue highlighted above is to put some of the power to perform dynamic testing directly into the hands of the developers. Just as static analysis tools have become an essential part of the automated build process that developers work with on a daily basis, wouldn’t it be great if we could allow developers to perform some perfunctory dynamic scanning on their applications before making a delivery? With so many tools to choose from, where should a developer who wants to start performing dynamic testing start? To help answer that question, Eric Johnson from Cypress Data Defense and I set out to create a plugin that would allow a developer to utilize some of the basic scanning functionality of OWASP’s Zed Attack Proxy (ZAP) within the more familiar confines of their IDE. Being the most familiar with the Eclipse IDE for Java, I decided to tackle that plugin first. The plugin is designed to perform two tasks: perform a spider of a URL provided by the developer, followed by an active scan of all of the in-scope items detected during the spider. After the spider and scan are complete, the results are saved into a SecurityTesting project within Eclipse. More information about the SecurityTesting plugin, including installation and execution instructions, can be found at the project’s GitHub repository (https://github.com/polyhedraltech/SecurityTesting). 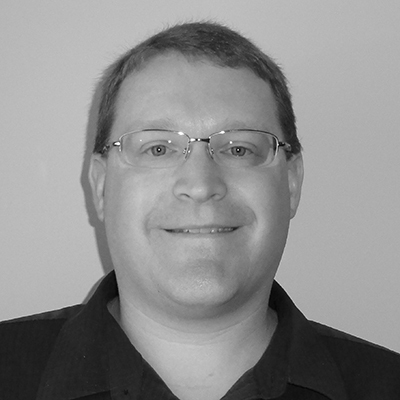 Gregory Leonard has more than 17 years of experience in software development, with an emphasis on writing large-scale enterprise applications. Greg's responsibilities over the course of his career have included application architecture and security, performing infrastructure design and implementation, providing security analysis, conducting security code reviews, performing web application penetration testing, and developing security tools. Do I Need a Firewall or a Web Application Firewall?